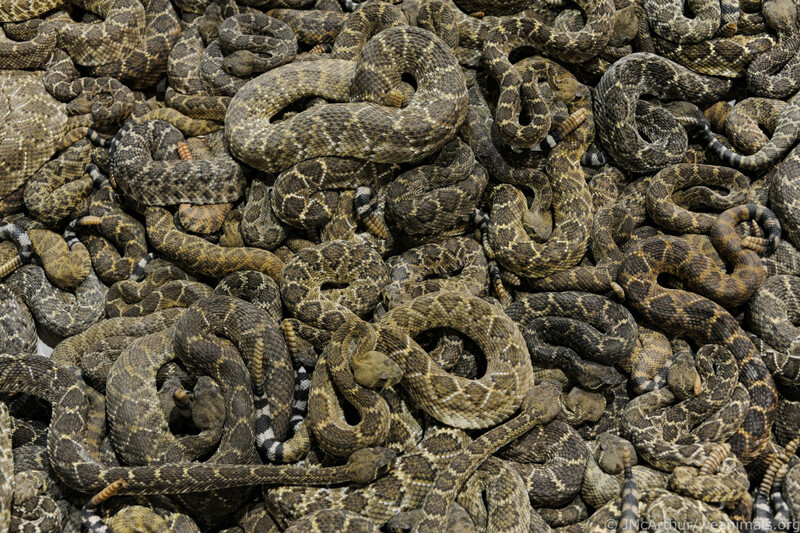 Each year, tens of thousands of rattlesnakes are taken from the wild to be displayed and slaughtered for entertainment and profit at rattlesnake roundups. Professional hunters, not bound by ‘bag’ or ‘take’ limits, remove snakes from their native habitats and are awarded with cash prizes for bringing in the most and biggest snakes. Most snakes are caught by pouring gasoline into their winter dens, which pollutes surrounding land and water and may impact up to 350 other wildlife species.